The IP address I am looking for is the enp0s3. I will set my IP address statically to this. The next thing I have to do is navigate to the file that holds the information for the interfaces. 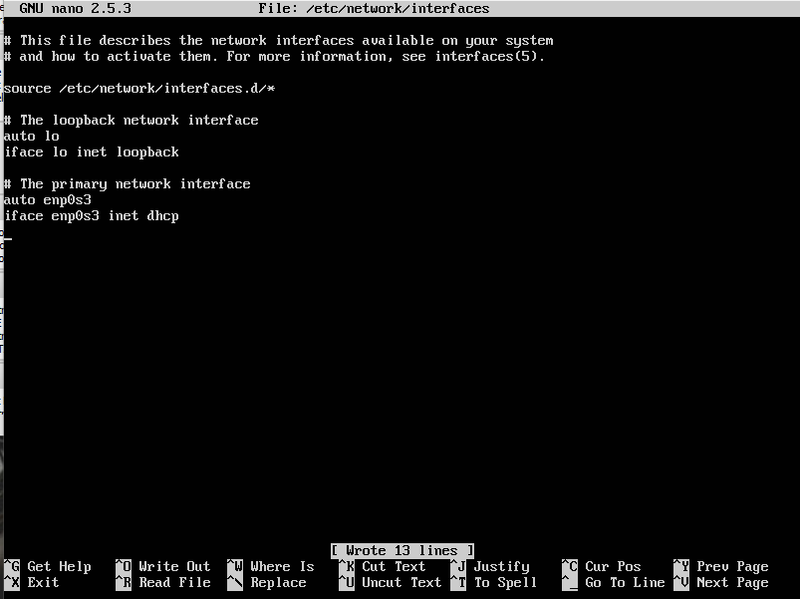 The file is located at /etc/network/interfaces. The text editor I like to use is nano. I know a lot of people like vim and that is ok. If you feel more comfortable using that then that is ok.
Find “# The primary network interface” and here is what you will change. 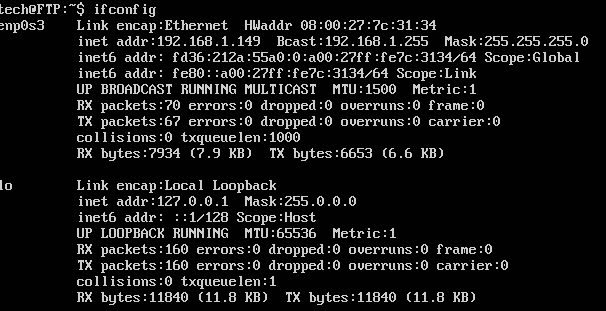 After you run these commands try pinging an ip address or website. If you get 0% packet loss then you know it worked. If you don’t then more troubleshooting will be needed. I hope you found this helpful. If you have further questions please send me an email in the contact me and give me a +1!